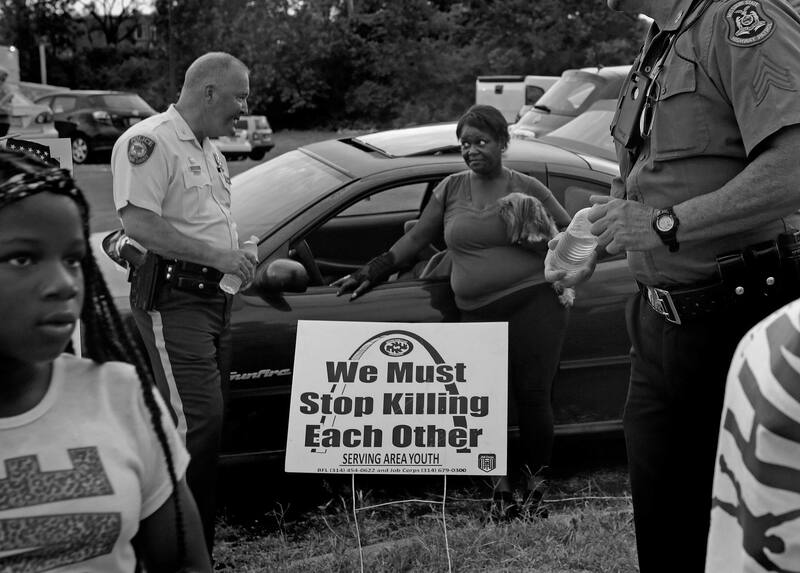 St. Louis County Police Chief Jon Belmar visits with Felita Moore of St. Louis on Saturday, Aug. 8, 2015. "He just came up to me and started talking to me about my dog. It's nice to see them out meeting with the public. We need to start somewhere," said Moore. Members of law enforcement walked the street in the evening meeting the people out along W. Florissant in Ferguson, a couple of blocks away from where Mike Brown was fatally shot.